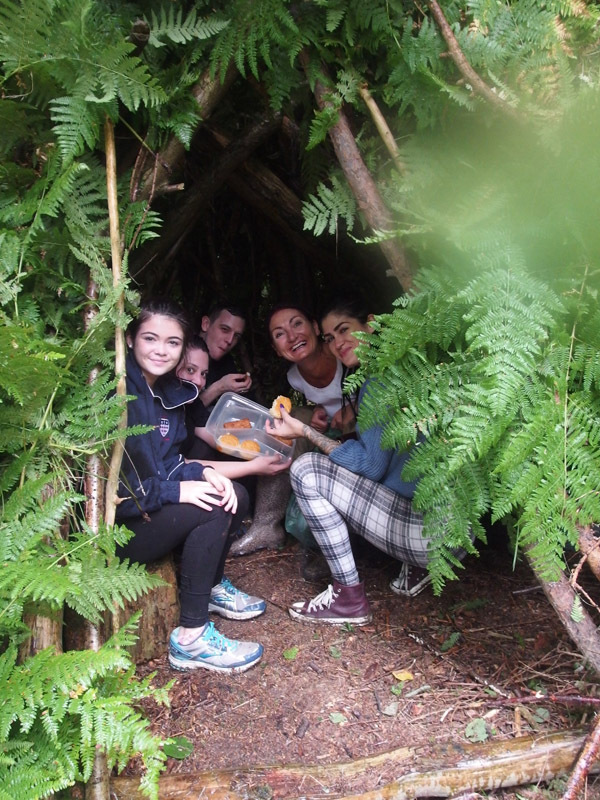 Despite the rain halfway through the competition those taking part in The Friends of Bourne Wood Den Building on Sunday, had an enjoyable afternoon. The runner-up were the Lavberts! 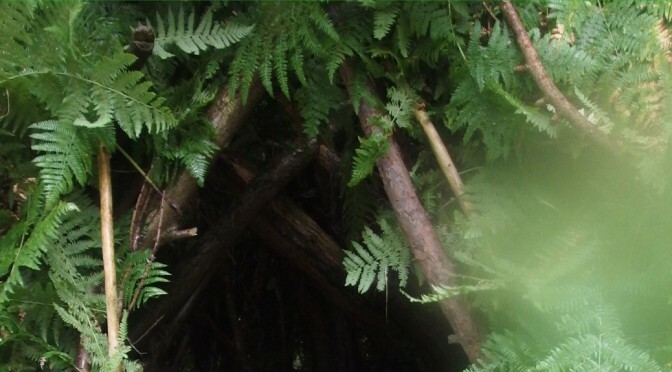 The five families used leftover materials from the thinning to create dens deep within the wood, which were then covered with bracken. 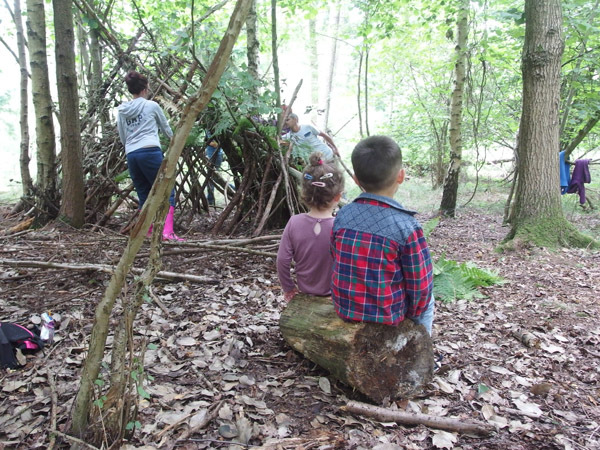 John Wilcockson, the leader of the event explained how to make the dens, suggested extras that could be added and reminded people that all of the family should fit in the den and that they should be waterproof! 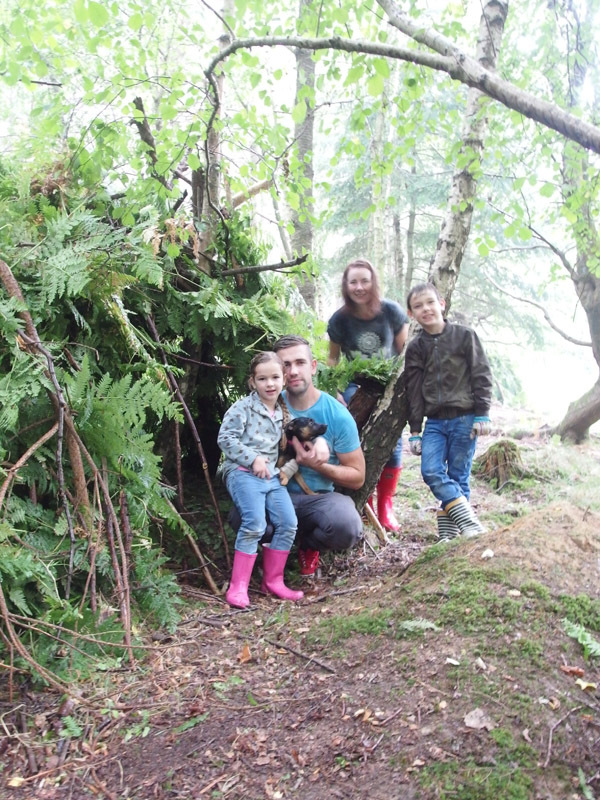 The winning den, by the Bower family. 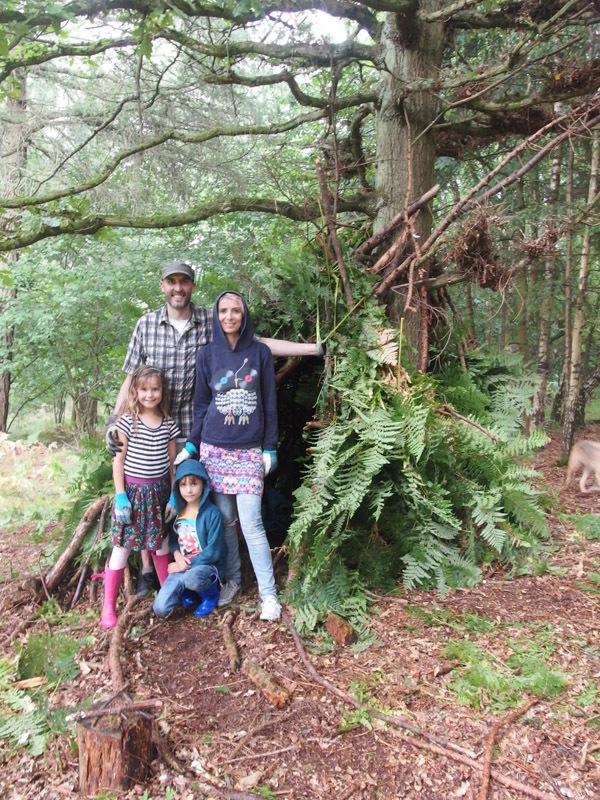 The winning family was Eric Bower, Kat Walters and Rose and Ted Bower-Walters who had a removable door for their cosy den. The runners-up had two seats, a cooker and a bar, while one family included a dog kennel. Due to the rain, everyone was keen to get into the dens at the end as it was much drier in there! Our house in the middle of the wood, our house….. Thanks go to John for running the event and our helpers, Cindy, Brian and Valerie for helping to judge and look after those taking part.